Re: Someone got hitched and didn't tell us? 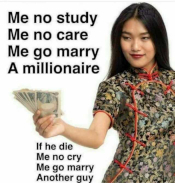 You are talking about Mr Wu in that wedding dress. Those Chinese men kind of resemble one another, but the face isn't the same. Let's just hope JamesBond doesn't do up some photos with Winston's face. Talk about starting a marriage out the wrong way. How is that guy on that siteever going to wear the pants in the family? The bride was afraid the dress would make her look fat. The bride's fat made her look fat. She looked fat in the tux. 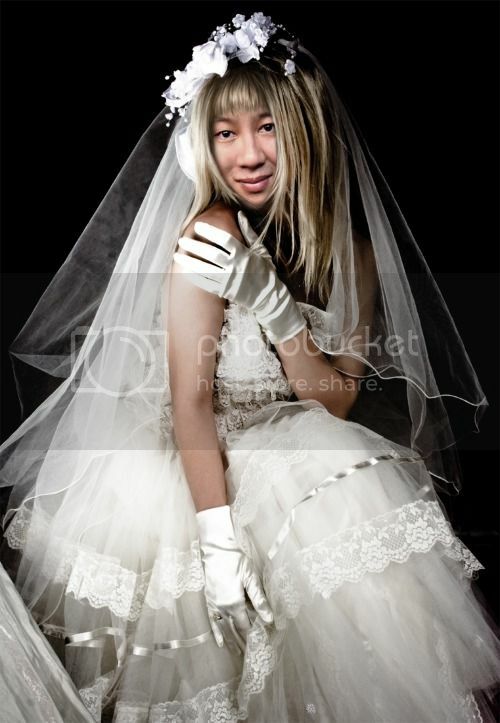 MrMan wrote: You are talking about Mr Wu in that wedding dress. Those Chinese men kind of resemble one another, but the face isn't the same. Let's just hope JamesBond doesn't do up some photos with Winston's face. This explains why veils were invented. That moment when you realize you paid for Rachel but got Leah, instead.